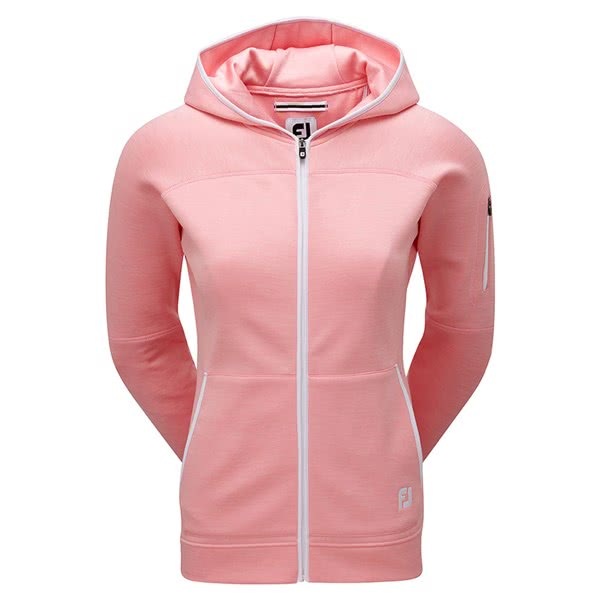 The FootJoy Ladies Full Zip Hoodie provides a sporty, modern look that is suitable for on and off the golf course. A technical stretch to the fabric provides enhanced movement and mobility whilst providing a soft, comfortable fit. 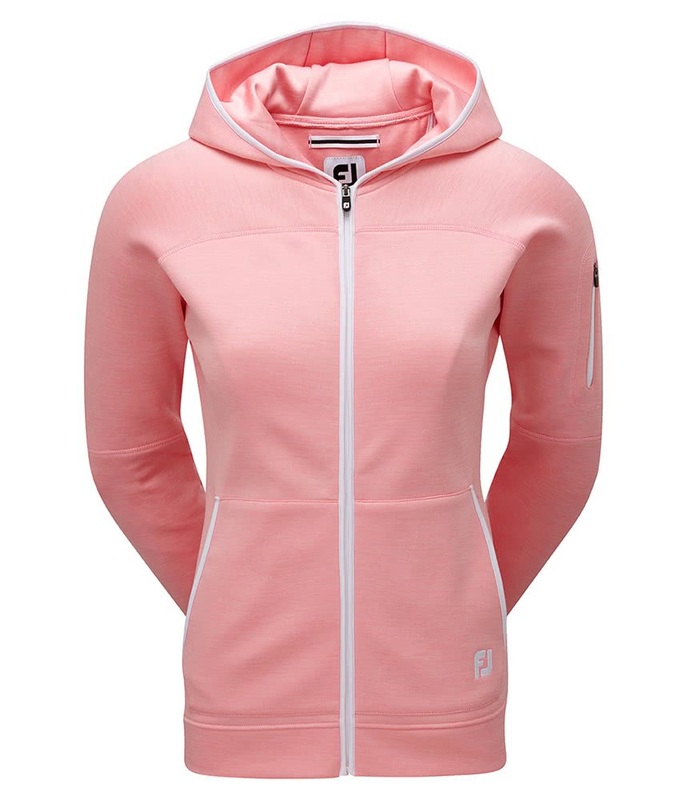 The full zip design and hoodie design will give you the ultimate protection against the cold. Two hand pockets provide the perfect place to keep your hands warm between shots and the zippered sleeve pocket is ideal for essentials.